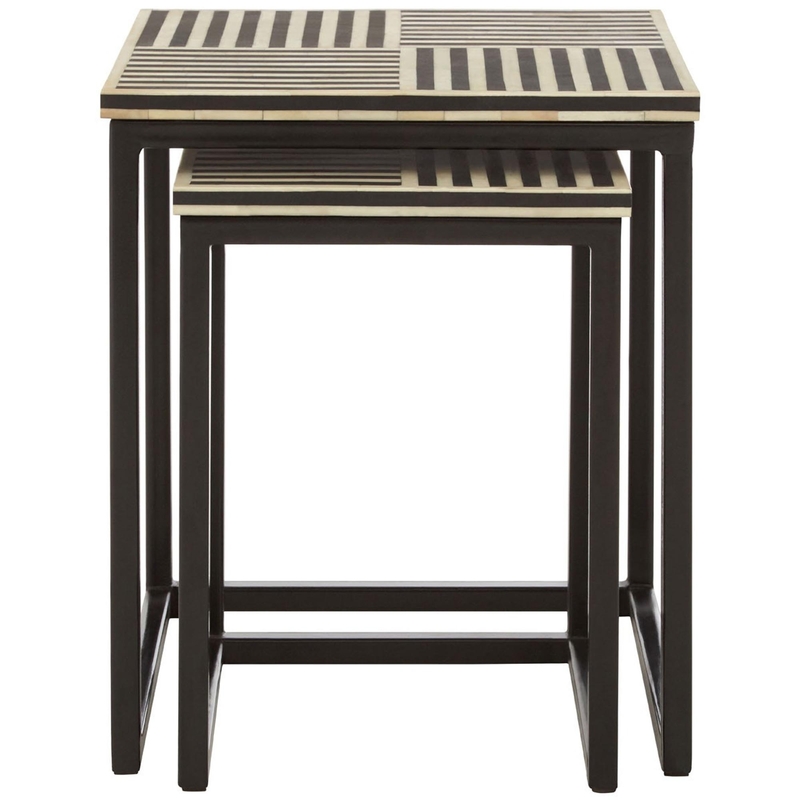 Made from metal and buffalo bone, this set of nest tables features a strong metal frame which ensures durability over generations and includes a simple wooden finish, making this a reliable and stylish set of furniture. Offering some generous table top space, perfect for proudly displaying your ornaments and photo frames or simply using as its intended living purpose. As this set has been designed as a nest, these beautiful tables can be placed on top of each other when they are not in use to help minimise clutter in your home.